“The long hallway gave way to cold, sterile walls as Kathy was ushered into a room that would forever change her life – The Green Room. It held the first of many secrets to come, but she wasn’t about to let anything get in the way of her quest for happiness. 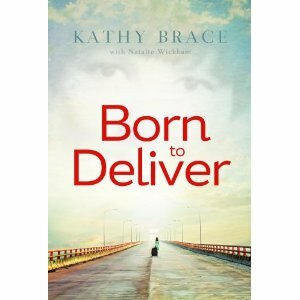 Born to Deliver by Kathy Brace and Natalie Wickham is the life story of Kathy Brace. Her story hit home for me on so many levels. Kathy begins her book in the 60’s with the story of her out-of-wedlock pregnancy at 15 years old. Like Kathy, my birth mother became pregnant in the 60’s at the age of 15 and was sent away during her pregnancy until she gave birth to me alone in a hospital away from family or friends. In my opinion, and from what I’ve heard, a hospital birth during the 60’s was a horrifying experience to begin with; but, as Kathy describes, it was a living nightmare for a pregnant teenager who was scared and all alone. Through Kathy’s gripping testimonial, I was able to get a glimpse into what my birth mother’s heartbreaking pregnancy and delivery must have been like. With no money and no support, just like Kathy, my birth mother was forced to give up her baby for adoption. Kathy describes her experience giving up two children for adoption, a girl and a boy. Years later, she was reunited with her adult daughter, Amy. Her son declined the offer to meet her. The emotions from her account of the reunion with her daughter brought back memories for me. I was adopted after being in foster care for 2 years. My birth mother put off signing my adoption papers until she was 18, hoping to find a way to keep me. However, even once she was “of age,” she was urged to get on with her life and go to nursing school. It was best for me, she was told. So that was that. In 1987, I was reunited with everyone in my birth family, except my birth mother, who had been killed in a tragic accident in 1971. A year after our reunion, I learned that my grandparents (both still together) had also given up a daughter for adoption, after my grandmother had become pregnant…also at the age of 15! Sadly, and amazingly, she never shared that information with my birth mother. 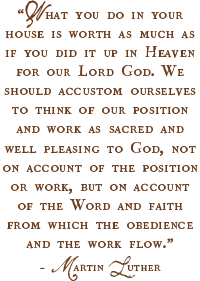 Had God not providentially intervened, I have no doubt that I too would have repeated history. My adoptive parents were very strict with me, which was exactly what I needed. I recall feeling like my mother indulged my younger sister (their birth daughter). At the time, I jealously saw it as a bitter curse…more evidence of how unlovable I was. But, later I was able to look back and see it as God’s mercy and protection of me…protection from my own self-destructive nature. Though our stories are very different, I related to Kathy’s feelings growing up—feelings of loneliness and longing, being haunted by shame and rejection. Like Kathy, when I hit my teens, I started secretly living out the rebellion that was in my heart. While I was outwardly compliant, my heart was full of bitterness, hurt, and anger. I desperately wanted to be loved, cherished, and wanted, but for some reason I couldn’t feel it or accept it. I began to sneak behind my parents’ backs and indulge my lust for attention—attention that, as Kathy also discovered, left me even more empty, rejected, and humiliated. I longed for something more. As time went on, God brought me to my knees. Like Kathy, I had to hit rock bottom before I was able to look up. As Kathy discovered, the emptiness and pain that comes from being abandoned and not having felt truly loved by our earthly parents is a pain that only God can heal, and a void that only He can fill. Sometimes I wonder if even adoptive parents get this. You can’t force a child to accept your love anymore than they can force you to love them. There’s a disconnect—something broken—that Jesus has to heal, connect, and bond. Kathy takes us on a personal journey through her painful beginnings, her glorious salvation, and then her hard road of sanctification. With great transparency, Kathy shares with us details of not only her life, but also her heart. She reveals with humility how the choices she made cost her many of the things in life that she prized most—people and things she depended on for protection, support, and identity; and she shares how God stripped it all away because He wanted her to learn to rely instead on Him…totally and completely on Him. Oh, how her life resonated with mine! Her loneliness was overcome by the presence of God. Her provision and support consistently and faithfully came from Jehovah Jireh. And she found her identity—her true and lasting identify—in Jesus. During times of want, the Lord became a husband to her, and a father to her children. We serve a jealous God. The men in her life, material possessions, her dream home, a “perfect” family, none of it meant a thing in comparison to her relationship with her Savior. I believe that Kathy’s story will be a beacon of light to those who are lost in a sea of sin and guilt, rejection and despair. Her testimony will bring hope and healing to those with a past that still haunts them—those who wonder how in the world they can be used of God after all they’ve done. 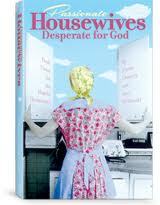 They’ll discover along with Kathy that God really can do more than they ever dreamed, as they trust Him. Read Chapter 1 of Born to Deliver HERE and see why you won’t be able to put this book down! Kathy Brace is a Certified Professional Midwife who has assisted at over 1,500 births, including ten of her thirteen grandchildren. She is committed to helping families have safe, natural, God-honoring birthing experiences. After serving as the Director of a nationally accredited midwifery school for twelve years, Kathy now devotes her training efforts to working one-on-one with women using an apprenticeship-based approach. She loves spending time with her four daughters and their families, and is grateful for every opportunity to share with others how God can redeem our failures to accomplish His good. 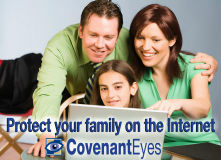 Stacy, I was absolutely glued to the screen as I read your testimony. To be honest, on one hand it is so hard to believe that you came from such a difficult background, yet on the other, the light of our Lord shines even brighter because of His salvation and fruit in your life. Fruit that is incredibly beautiful and plain for all to see! 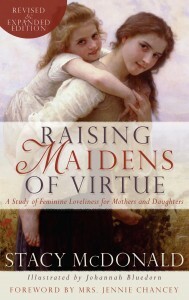 Reading your book, Raising Maidens of Virtue, and going through it with my daughter, seems almost more meaningful now that I know where you have come from, and what the Lord has saved you out of. May God continue to use you mightily, as you abide in Him, and are a beacon pointing to our King, to so many! God bless you, my sister! I’m seeing this lived out in my life too, but I’m the one who started it. My oldest daughter and granddaughter have both had babies out of wedlock. But…I’ve had three more children since the Lord rescued me and as young adults they are all committed to purity. Kathy delivered my last baby. It was my first home birth. She is an amazing woman. Thank you for sharing this! Have you ever expressed in writing your thoughts on adoption in general and in the Scriptures in light of your experiences? Is this something you have had to work through? I’m blessed every time I read your blog/website. My name is Mary and I started a new blog entitled “She Who Is Wise, Writes”. 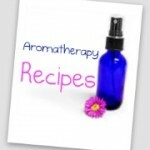 My daughter Dana told me about your blog as she enjoys reading it. I too enjoy writing about my daily life as well as short stories. I feel at this stage in my life (61) I would like to teach people about the importance of God and love. I have learned so many lessons that I would love to teach young families. When we are young we waste so much time and the unecessary we forget the necessary. I talk about this through my stories. I was wondering if you could possible view my blog and read my stories. I would love your feedback. I’m a newbie so any advice would be a great blessing. Thank you. May God Bless You and your Family this Holiday Season. PS Congratulations on your new grandson.